The Fall 2014 issue of the News and Reviews covers three films that address issues of living through and beyond crises in their considerations of religion and natural catastrophe; democracy and nation rebuilding; and reconciliation and war. 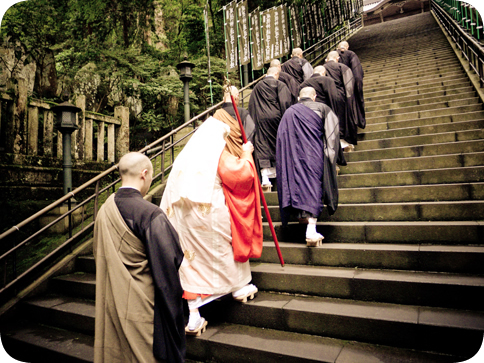 Buddhism after the Tsunami explores the roles of Buddhist institutions and monks after the 2011 tsunami in Japan. Afghan Chronicles sets its scene in Afghanistan after the fall of the Taliban, and explores the issues of democracy, freedom, as well as gender and media. 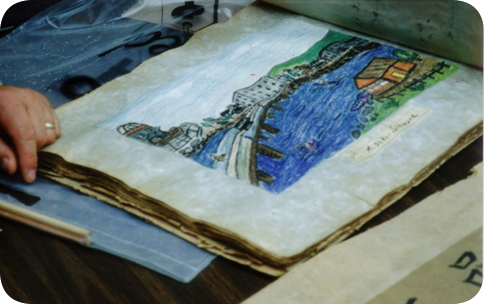 Pictures from a Hiroshima Schoolyard traces the history of the joyful paintings drawn by school children after the Hiroshima bombing, and the story about how these paintings become the gifts between Americans and Japanese. The upcoming 2014 Winter Issue of the News and Reviews will feature two films on Korean society and history, "Planet of Snail" and "Memory of Forgotten War;" and one on the memories of Japanese Vice-Consul Chiune Sugihara and his heroic eﬀort in saving of 6,000 refugees in a Lithuanian town of Kaunas during the World War II. We thank you for your continued support, and please feel free to contact us if you would like to see a specific film reviewed or have any suggestions or questions. Filmmakers and film distributors, please note that the 2015 AAS Film Expo Call for Films deadline is set for the end of November. Please have all submissions postmarked by November 29, 2014. See the newsletter content below for more details. Directed by Bryan Reichhardt, produced by Shizumi Shigeta Manale. 2013. 85 minutes. The film Pictures from a Hiroshima Schoolyard chronicles the remarkable story of an American Christian minister who was inspired to preach about nuclear destruction, the reaction to that sermon that prompted a gift from American youngsters to school children in Hiroshima, and the stunning drawings that those children sent to the Americans as a token of their thanks. The film weaves together interviews with Hiroshima hibakusha (atomic bomb survivors), historical photos, and video footage to tell the story of the connection between All Souls Unitarian Church in Washington, D.C. and the students from Honkawa Elementary School in Hiroshima. The story-and the film-begin in November 1946 when A. Powell Davies, minister of All Souls Unitarian Church, read an article in the Washington Post celebrating the atomic bomb task force. The article was accompanied by a photo of an angel food cake in the shape of an atomic bomb mushroom cloud, which was being proudly cut by the celebrants. Davies was incensed by the nonchalance with which the dropping of the atomic bomb was being treated, and a few days later he preached an Armistice Day sermon titled "Lest the Living Forget." Directed by Dominic Morissette. 2007. 52 minutes. In English and Pashto with English Subtitles. Review by Shah Mahmoud Hanifi. Photo Copyright Dominic Morissette 2007. This insightful and thought-provoking film was shot mainly in 2006 when the Canadian filmmaker Dominic Morissette spent time in Kabul documenting the activities of people associated with the Killid Media Group that was then composed primarily of two magazines and one radio station. One of the magazines, Mursal, specifically caters to women, and a large part of the film deals with women's issues not only insofar as the magazine is concerned, but also in the context of Kabul's urban culture, unique in preponderantly rural Afghanistan. The film briefly mentions a few locations outside Kabul, and these cursory references collectively emphasize the city's problematic relationship to the remainder of the country, particularly the eastern Ghilzai tribal territories to the east and southeast of Kabul and the city of Qandahar in the south of the country. One important point educators should note when using this film in class is to not fall into the analytical trap of equating the country of Afghanistan with the city of Kabul. The film is both a documentary and an ethnography, and while it is most suitable for university settings, it is also accessible to well-prepared junior college and high school students. It provides engaging cinematography of Kabul and an absorbing series of first-person narratives. The people at the center of the film are tracked as they go about their daily work for the Killid Media Group (KMG), but two individuals not directly connected to Killid are also interviewed. Three main figures at the KMG receive the bulk of the attention in the film. The first is Kamal Nassir, whose job is to deliver large bundles of Killid and Mursal magazines to retail vendors in and around Kabul. 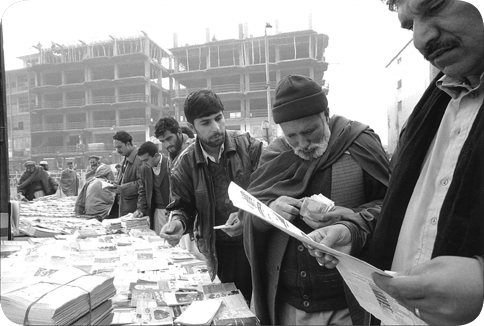 Through the windows of Kamal's delivery van, viewers see the streets of Kabul, and the film also follows Kamal on foot as he delivers bundles of magazines to various stalls and shop around the city. Directed by Tim Graf and Jakob Montrasio. 2012. 63 minutes. In Japanese and English, with English subtitles. Much has been said of the terrible events of March 11th 2011 in the West, but comparatively little attention has been paid to the survivors left behind. As narrator Tim Graf notes early on in Buddhism after the Tsunami, the narrative in the West surrounding the Japanese response to the events of March 11th is one of resilience in the face of disaster. Meanwhile, the spiritual needs of those who survived are almost always ignored. This sentiment summarizes a key theme of Buddhism after the Tsunami, which explores the role played by Buddhist institutions and individual monks in the areas affected by the earthquake, tsunami, and nuclear disaster. This film makes an important contribution to the study of the Tohoku disaster by focusing on this oft-neglected element of contemporary Japanese culture: religion, specifically Buddhism, and its place in the lives of ordinary Japanese. By focusing on the role of Buddhism in a time of disaster, this film also says a great deal about the role of Japanese Buddhism in contemporary Japan more broadly. Additionally, though filmed by a specialist in Japanese Buddhism, and using Buddhism as its primary lens, the topics addressed by this film go far beyond religious studies. The Association for Asian Studies (AAS) annually hosts the premier North American conference of Asia scholars devoted to scheduled programs of scholarly papers, roundtable discussions, workshops, and panel sessions on a wide range of issues in research and teaching, and on Asian affairs in general. The upcoming AAS conference is scheduled for March 26-29, 2015 at the Sheraton Chicago Hotel & Towers in Chicago, IL. We welcome the submission of films related to Asia produced by scholars and independent filmmakers. Criteria utilized in the selection process include timeliness, broad appeal to the scholarly community, and examples of new field work. All films presented in the conference are promoted in a special AAS Film Expo booklet which includes contact information for distributors or filmmakers who self-distribute. The deadline for submissions is November 29, 2014.